Luxury one bed apartment in ideal seaside location near to beach, bars, local shops and restaurants. This bright, spacious first floor flat sleeps up to four people: large bedroom with super king size bed (which can be split into two single beds if required) and open plan lounge with large sofa which converts to a full size double bed. Facilities include: gas central heating, bathroom with shower, lounge with dining area, kitchen with dishwasher, microwave, gas hob and oven, washing machine, fridge, freezer, toaster, kettle and coffee machine. Also supplied: bedding, towels and bathrobes, hair drier, iron and ironing board, free wifi, catch-up TV, DVD player and stereo with iPod dock. Complimentary welcome pack also included. Please note: a charge of £20 per week applies for use of the sofa bed. A highly popular holiday destination, North Berwick really comes to life in the warm summer months. Attractions like Fringe By The Sea and the Scottish Open Golf Championship add to the allure of this ever-popular coastal resort. With a regular train service to Edinburgh, Scotland's capital city is also within easy reach. North Berwick high street is only two minutes away from the apartment. Attractions include stylish restaurants, bars, boutiques, galleries, small independent bakers, butchers and gift shops. The award winning East Bay beach is a minute's walk from the property, with paddling pool, harbour and Scottish Sea Bird Centre. Trips can also be booked to the nearby Bass Rock and Isle of May. Toilet, wash basin and shower. Heated towel rail. All guests will be met on arrival, presented with keys and shown around the apartment. Martin will welcome you personally and explain how everything works. Superb apartment, well equipped, ideally placed near the centre with a marvellous host. We had a long weekend visiting family and Edinburgh. 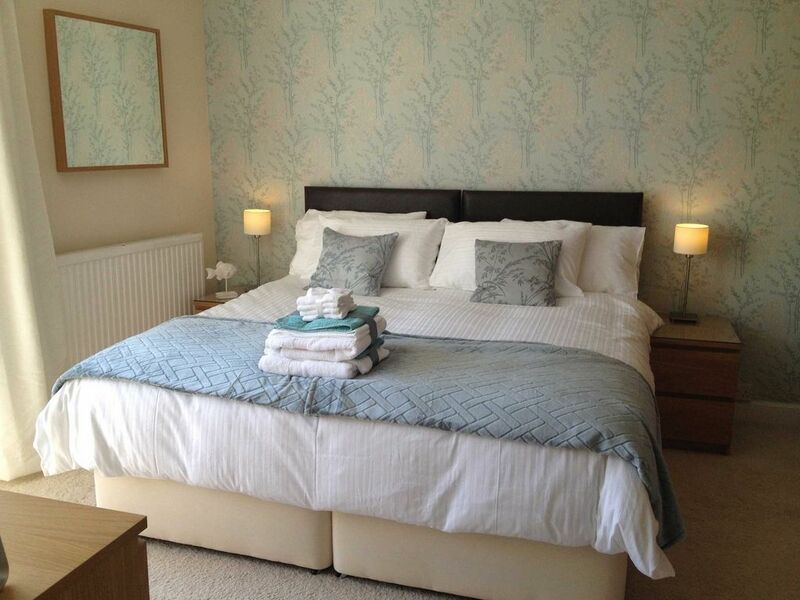 North Berwick is ideally situated for doing both and the apartment was a brilliant find. It had everything one needs and more. Martin made sure we had biscuits, milk, wine & so much more to enjoy during our stay. We will definitely be visiting again. Never been to North Berwick before, it is a lovely town. Great walks. And great places to eat out if you want them. The accommodation was fabulous, Martin was great , he did everything to make our stay brilliant. We had a fantastic stay from start to finish. We were met by Martin the host. He showed us around and it had everything you would need. It was home from home it was perfect. We stayed a week. Martin has thought of everything, and we were happy and comfortable. The location was convenient to the harbour, and good restaurants. We would go back in a heartbeat! Thanks Martin for all that you provided, and for being so kind and attentive. Martin's attention to detail is second to none. Everything you think you might need, he has already thought about it. Excellent base for exploring the area - the town's facilities are really good, local buses seem almost non-stop and trains to Edinburgh are so convenient. We only spent 3 nights but could quite easily have stayed for another week. Will definitely return. Take a boat trip to the Bass Rock and Fidra, visit Tantallon Castle, climb to the top of North Berwick Law, or relax with coffee and cake at the popular Seabird Centre. There's plenty to see and do while staying at our relaxing East Bay Apartment in the heart of North Berwick. £20 charge per week for use of sofa bed if required. If your reservation is less than 4 weeks away, payment in full is required at time of booking. Short stay weekend breaks might be available at certain times of the year - contact us for more information.